The Plant City Family YMCA is assembling a developmental swim team for the summer. With the summer months quickly approaching, it won’t be long before many Plant City youths flock to the local YMCA’s pool. This summer, though, the Plant City Family YMCA is catering to kids age 6 through 12. According to Aquatics Director Maggie Cattell, the Plant City Y is about to get its swim team back. Typically, competitive swimmers from the area will travel to the Campo Family YMCA, in Valrico, as it’s the closest competition team to Plant City. Rather than form a team to compete with the Valrico branch, Cattell says that Plant City’s team is going to be a companion for it. Plant City’s swim team will be a developmental group, acting as a transition between the center’s swim lessons — which started last week — and Campo’s competitive team. The difference between the Plant City and Campo teams is that Plant City’s kids won’t start out knowing everything needed to legally compete at sanctioned meets. 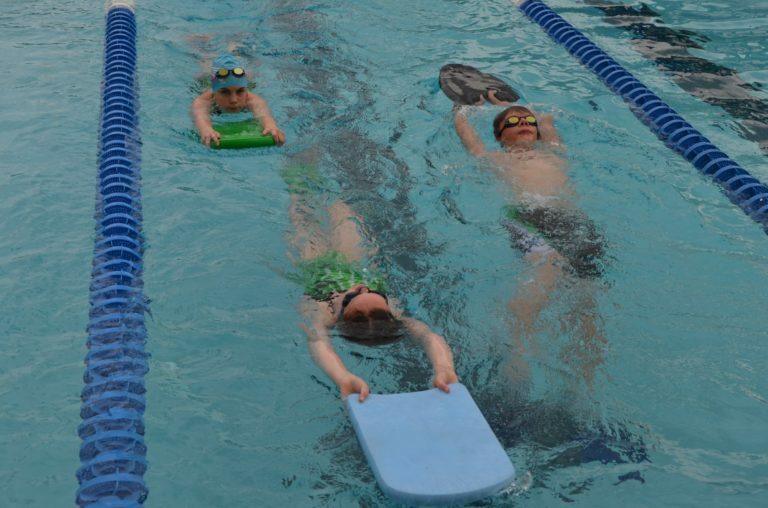 Plant City’s kids will be taught the four competitive strokes — freestyle, backstroke, breaststroke and butterfly — as well as flip turn basics and proper starts. To qualify for the developmental team, swimmers must be able to complete a 25-meter freestyle and a 25-meter backstroke. The primary goal of the program is to give kids a taste of competitive swimming without any of the pressure. Cattell says that a coach, who will be officially named next week, has been hired to run the program, and that she is locally based with previous YMCA instruction experience. While tryout dates have not yet been set, Cattell says that swimmers can expect them to happen around the end of the month, or the beginning of May. The team itself should be in the water and start working three practices per week in May, and the season will run through late August or early September. At that point, Cattell says, the YMCA will decide whether to continue the program. Cattell and the YMCA are hoping to have over 10 regular swimmers on the developmental team, especially a figure at or around 20 kids. Part of the reason the Y is waiting to begin tryouts is to gauge the impact of swim lessons on the developmental team, as the lessons are expected to have kids move up to the new team to take things further. “It’s really important for kids that are in the water for lessons to see what they can go into next,” Cattell says. There are no plans for the Plant City Y to add a competitive team anytime soon, partly so as not to compete with Campo, and also because the space to host the team isn’t there. Cattell says that the success of the developmental team will help determine whether Plant City expands into competition in the future, but that isn’t currently being discussed. For now, the Plant City Y just wants to show kids that swimming can be both fun and rewarding.